Principal Deputy Assistant Attorney General Andrew Finch reports that agency is "very busy" on both the criminal and civil sides. The 67th American Bar Association Section of Antitrust Law Spring Meeting kicked off this morning with a panel discussion by the Deputy Assistant Attorneys General (DAAGs) from the U.S. Department of Justice Antitrust Division. The DAAGs brought attendees up to date on management changes, as well as recent enforcement and policy priorities. Five of the six DAAGs were on hand. Principal Deputy Assistant Attorney General Andrew C. Finch introduced three new DAAGS to the annual Spring Meeting program and identified some other front office changes since last year’s event. Among the new faces on the panel was Michael F. Murray, the DAAG for appellate matters. He joined the Antitrust Division as DAAG for appellate matters after previously serving as Associate Deputy Attorney General. Finch noted that Murray’s first major task at the agency was arguing the government’s appeal in AT&T/Time Warner merger case. Richard Powers, who serves as the DAAG for criminal enforcement, also has joined the Antitrust Division in the last year. Finch announced that Jeffrey Wilder, the acting DAAG for economics, has replaced Luke Froeb in that role. Wilder was not able to be at the meeting. In addition to the new DAAGs, Finch highlighted some other management changes: William Rinner, who has been serving as Counsel to the Assistant Attorney General, is now Acting Chief of Staff, replacing John Elias; Andre Geverola has been promoted to the Director of Criminal Litigation; and Ronald Drennan became the Acting Economics Director of Enforcement following the retirement of W. Robert Majure. Merger enforcement, remedies. Discussing enforcement and policy priorities, Finch addressed the agency’s defeat in the AT&T-Time Warner case. While the loss was a disappointment, Finch said that the efforts have contributed to the positive development of vertical merger law. He suggested that the agency would be better prepared for the next vertical merger case and that it is focusing on how to litigate remedies proposed by the parties in the face of litigation. On the topics of remedies, DAAG Barry Nigro reminded attendees that the Antitrust Division had withdrawn the 2011 Policy Guide to Merger Remedies. 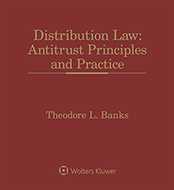 He noted that the Antitrust Division was now relying on the 2004 Policy Guide to Merger Remedies and suggested that recent enforcement actions provide some context on how it is being applied. Nigro added that the Antitrust Division has been "fairly demanding in requiring remedies that we believe are necessary to fully resolve our competitive concerns." He also pointed to new provisions being added to consent decrees to assist with enforcement. It was noted that the agency’s efforts to shorten the merger review process continue. Amicus program, privilege concerns. 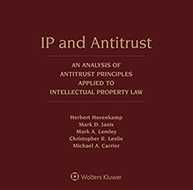 Another effort highlighted by Finch was the Antitrust Division’s robust amicus program. 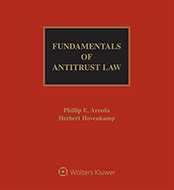 Finch pointed out how the agency has filed briefs in district court and circuit courts to help shape antitrust law. Both Finch and Murray discussed the Antitrust Division’s recent filings in private no-poach cases involving employees in health care and franchising. However, no one on the panel would comment on whether there was a criminal no-poach case on the horizon. Efforts to rationalize the use of the attorney client privilege and work product doctrines, particularly in the merger context, also were discussed. Finch questioned whether there was a good faith basis for privilege logs with hundreds of thousands of documents and said that the agency was investing resources into streamlining privilege process, including coming up with model privilege protocol. Finch said that as parties and government streamline this process, fewer documents will be withheld on shaky grounds. International cooperation, enforcement. 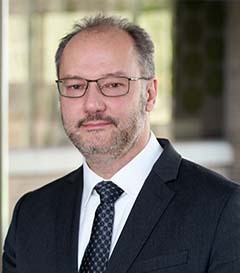 Roger Alford, DAAG for international matters, returned to the panel this year and suggested that 2018/2019 was a "watershed year" for promoting procedural fairness around the world. He talked about strides in the agency’s proposal to secure the administration of competition laws according to due process principles. 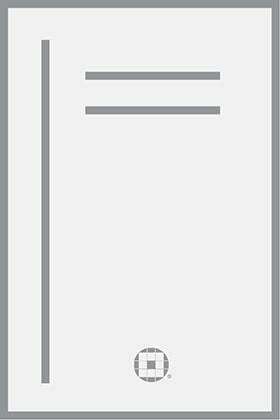 The effort is known as the Multilateral Framework on Procedures in Competition Law Investigation and Enforcement or MFP. Alford appeared hopeful that the MFP could be moved into the International Competition Network and beyond bilateral agreements. Criminal enforcement. On the criminal enforcement front, Powers said that many long-running cases are winding down and that means that certain long-running investigations are closing without charges. However, he pointed out that there are more grand jury investigations open than at any time (91) since 2010. In addition, there are six trials scheduled for next year. According to Powers, the current enforcement priorities continue to be prosecuting companies whose anticompetitive conduct harms the government and taxpayers and focusing on individual accountability. In connection with individual accountability, Powers noted the case against the former CEO of a packaged seafood company as an example. While Powers didn’t name names, the case against Christopher Lischewski, the former head of Bumble Bee Foods, is headed to trial later this year.